«On the Angel`s wings» is an app we created for Christmas Charity Event in 2015. Since then, the app became popular in Ukraine, giving people an opportunity to donate in an easy manner. Now we have decided to make it redesign by 2018. We know thew that people are full of distrust nowadays, therefore we made the donation pretty simple and «red tape»-less. We created avatars for kids, telling people their stories and dreams. When you read the feed, you can choose whatever dream you want, donate and see how it comes true! 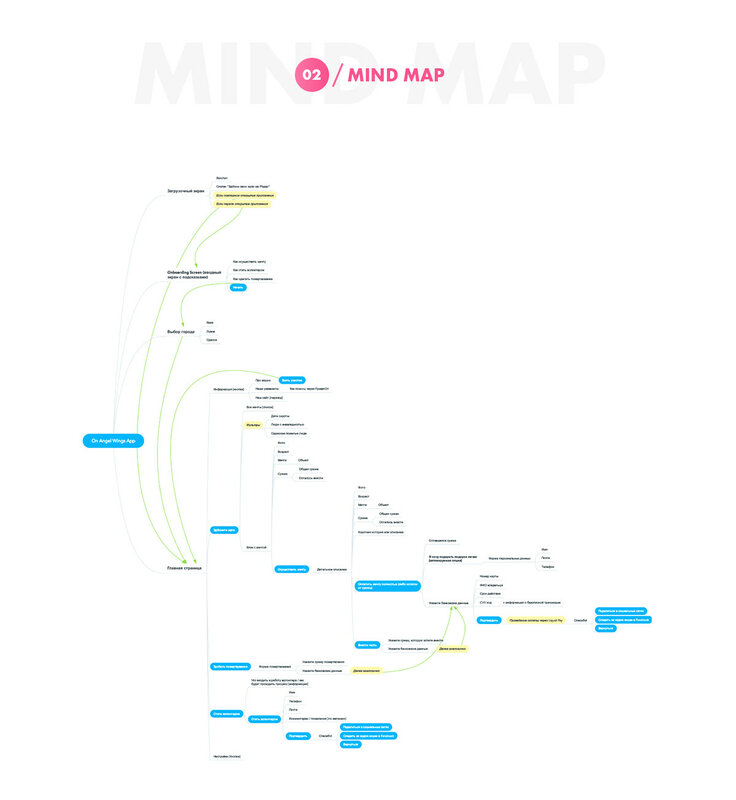 We built a Mind Map first, then created high-fidelity prototypes that reflected the best UX. UI designer then converted the prototypes into app screens, making them polished and good-looking. To read the list of dreams and learn more information, you can download our mobile application "On The Wings of Angel" in the Apple Store and Google Play. You can see the result of this event on the official website of the campaign hillsong.com.